The 28-year-old, who was part of Wales' Grand Slam triumph in the recently concluded Six Nations tournament has been on the sidelines since 23rd March when he dislocated his elbow during Cardiff Blues' Pro14 encounter against Scarlets. 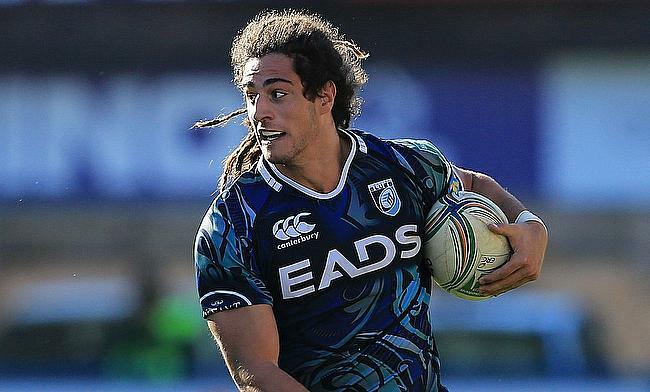 Cardiff Blues head coach John Mulvihill revealed that Navidi has successfully undergone the surgery on his elbow and will need 10 to 12 weeks of rehabilitation. "Josh dislocated his elbow in a bit of friendly fire, which was unfortunate," said Mulvihill. "He's had surgery and will be right to go for the World Cup camps. "He'll be out for up to three months but will be able to return to running fairly early in the rehab process and maintain his conditioning under the guidance of our first-class medical and strength and conditioning teams. Wales will play England and Ireland two times each in their warm-up games before they head to Japan for the World Cup 2019 where they take on Georgia in the tournament opener on 23rd September in Toyota.